Stop Start Acting Like a Mug! After 1-2 months? Yes, some will if they suspect you are only using them for matched betting. This is known as being 'gubbed'. Your account isn't actually closed, instead you receive an email from the bookmaker saying you are no longer eligible for promotions and free bets, boo!! So our easy way around this is to....bet like a mug! Whilst is not possible for us to know exactly what bookmakers are looking for, it does make sense that placing mug bets should help us to keep receiving free bet offers from the bookmakers for months/years to come! This is because the reason bookmakers are offering free bets to existing customers is to bring the customers back to their website to then also bet on other matches. So if we do this, they should be happy (little do they know though, that we are laying off these bets!). In terms of when to start mug betting, you will be fine to complete the welcome offers without mug betting. Though I would recommend sticking to the popular games for your welcome offers, just to keep your betting history looking like a mug punter. All the teams listed in the selections blog post are popular teams for you to use. If you have sufficient funds and time, there is certainly no harm in placing 1-2 mug bets after completing your Welcome Offer and before starting the Reload Offers, but it certainly isn't essential! For every reload offer (existing customer offer) we take, we will place a 'mug' bet with the same bookmaker, which we lay off in the exchange (which will cost us only pennies). It's not important though to memorise this list, as when you start completing Reload Offers you'll become familiar with the bookmakers you take up offers from! Please see this Facebook post for discussion on the most valuable bookmakers. I recommend when you take up a reload offer with a bookmaker, simply place a couple of mugs bets at the same time. One of the best ways to disguise yourself from looking like a matched bettor is to deposit more than the trigger bet amount. E.g. for a "bet £10 get £30" account, you might deposit £30 instead of just £10. Mug depositing as it's called, is becoming increasingly important - for a full guide on this see here. Look for any Premier League matches that have 1.7 or lower back odds. Place a 25p - £1 football accumulator on 3-4 matches. Given the small size of the bet, there is no need to lay off the bet. Over the long term these will only cost 5p - 20p given accas have an average payout of 80%. World Cup, British Open Golf, Wimbledon, these are major sporting events that mugs will bet on so if you spot these in the OddsMatcher, you can include these as mug bets. 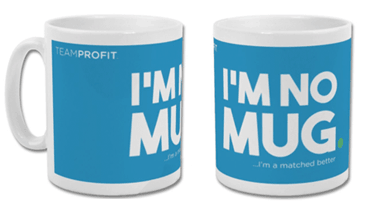 When placing these mug bets, place them between £5 to £20. The Oddsmonkey OddsMatcher comes into it's own for making mug betting so much simpler. It not only makes finding the mug bets really easy, it also means you can choose the mug bets that will have the smallest loss. You can do this by creating specific 'mug betting' filters and saving them any time you want to mug bet on a certain bookmaker. You can then click 'Save As' and then save it as 'Mug Bets - William Hill', so every time you need to find the best mug bets for William Hill you can simply click the dropdown on the top left of the OddsMatcher. You can also use the search text to add in anything you're specifically looking for, for example 'Premier League' if you'd prefer to place mug bets on the Premier League. See below image of the filter results on William Hill (as they're one of the most important bookmaker to mug bet on given their excellent offers). Using what we learnt above; that we want to choose a big sporting event and back a favourite. We see that despite it not being the best match in terms of smallest loss, Man Utd in the Premier League match Man Utd v Hull is the best choice for our mug bet on William Hill. 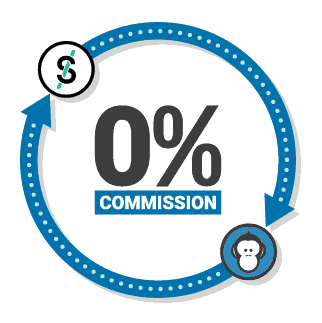 0% Smarkets Commission with Oddsmonkey! I'd suggest skipping at least 1 in every 5 offers that a bookmaker offers. For example, if the offer is 'Risk Free up to £25' then occasionally only bet £15 to take up £15 of the value. Also, do not always bet on low odds for the Trigger Bet, then high odds for the Free Bet. Place the Free Bet on low odds occasionally. Carry out your mug betting on the reload offer sport i.e. if you are taking tennis reload offers, mug bet on tennis ; if you are taking football in play reload offers, mug bet on football, in play. The above 3 additional tips will help ensure your bookmaker accounts always stay open when completing reload offers. A lot of punters will be placing bets on their phone as well as a laptop/computer, so definitely place some bets on your mobile phone if you have a smartphone. This is easy to do as you can have the bookmaker website on your phone, whilst having your betting exchange and calculator on your laptop. Note - This will mean you are often spending more time placing mug bets as completing the Reload Offers. This is perfectly normal and advisable. You can still be making over £500 risk free per month! Do All Matched Betters Mug Bet? Certainly not! There is quite a mix of opinion when reading matched betting threads in the Facebook Group and the OddsMonkey forum. Some matched betters do lots of mug bets whilst others do not place mug bets at all. It's very hard to know as there is a lack of concrete evidence to support either approach. However, bookies do gub and they don't gub everyone! So the bookmakers must apply criteria to decide who to gub and who not to gub and it's logical that they would be more likely go gub a customer who never bets unless they're being given a free bet I think. When you go to a casino, you're betting against the house. The odds are set so that you will lose in the long run, but on any individual hand of Blackjack or Roulette spin, the house can indeed lose if they have to pay out all the punters. A bookmaker, however, works very differently. They take in bets from lots of punters on different outcomes and traditionally would write them all down in a big book. They offer different odds on different outcomes, and adjust the odds on offer, with the aim that no matter what happens, the amount of money they will pay out on that market will be less than the amount of money they took in as bets. It's easiest to see how this works on a market with only two outcomes, such as the Both Teams To Score market. E.G Arsenal vs Man United, William Hill are offering 1.80 for Yes and 1.95 for No. This suggests that they are expecting to take roughly the same amount of money on each, but slightly more on Yes. Let's say for argument that they take a total of £1050 from various punters on Yes and £950 on no, for a total of £2000. If Yes wins, they will pay out (£1050 * 1.8) = £1890, keeping £110 profit; if No wins, they will pay out (£950 * 1.95) = £1852.50, keeping £147.50 profit. If lots of people bet Yes, then the odds for Yes will get shorter and the odds for No will get longer, in the hope of encouraging fewer people to bet Yes and more people to bet No, and to ensure that they make a roughly even profit either way. If the bookie gets their sums right, they will have a balanced market; is called "making a book" - hence "bookmaker". What this effectively means is that when you place a bet with a bookmaker, you aren't really betting against the bookie, but against the people who bet on the opposite outcome. The bookmaker is just an intermediary and takes its cut. Therefore, the bookmaker doesn't hugely care whether you win or lose, because their profit is the same either way. When you use a free bet, the book becomes unbalanced, and the bookie will have to pay out more money than they took in on your part of the book. If you win, they have to pay you out without having received any stake from you. If you lose, they have to pay *someone else* out using the money that they would have received from you, had you paid your stake. Effectively, a free bet involves the bookmaker putting their own money into their book to replace the money they would have taken from you as a stake. It makes no difference whether you win or lose - it costs them the same amount of money. And while they're happy to do that to encourage people to gamble, they don't like doing that for people who are just going to take their money off them.